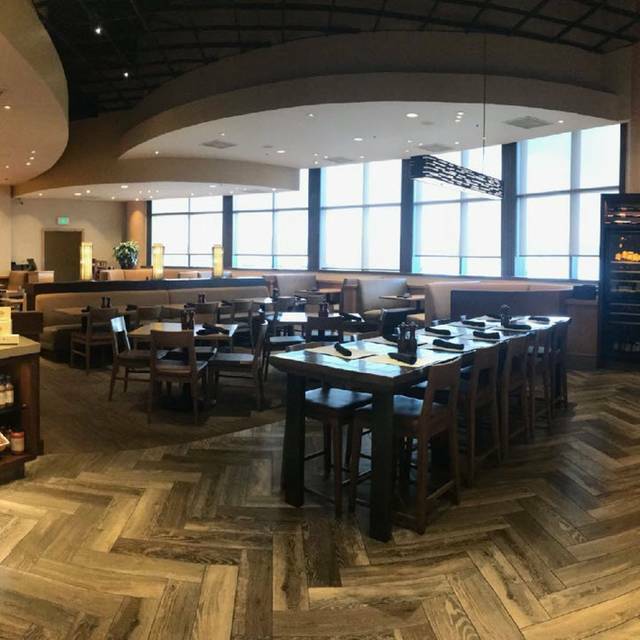 You must make reservations at least 5 minutes in advance of the time at Bazille - Nordstrom NorthPark Center. 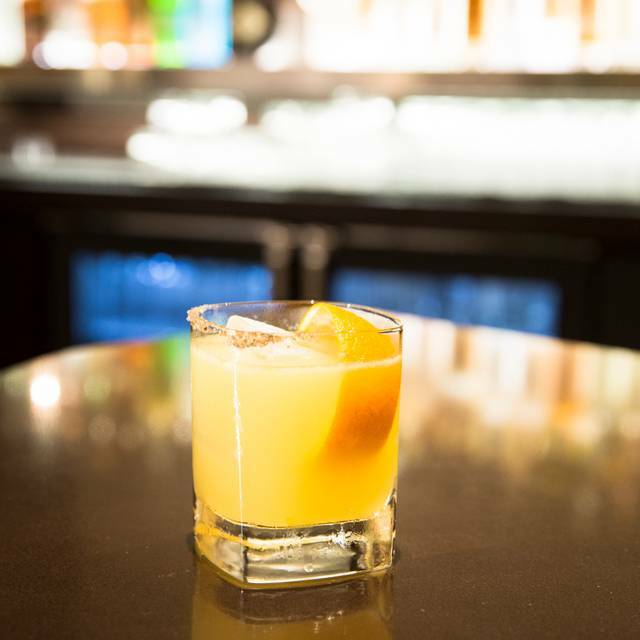 Complimentary valet offered at our east Nordstrom elevator entrance, as well as an attached five story private parking garage for your convenience. We offer two flat panel HD televisions in the bar area for your enjoyment. 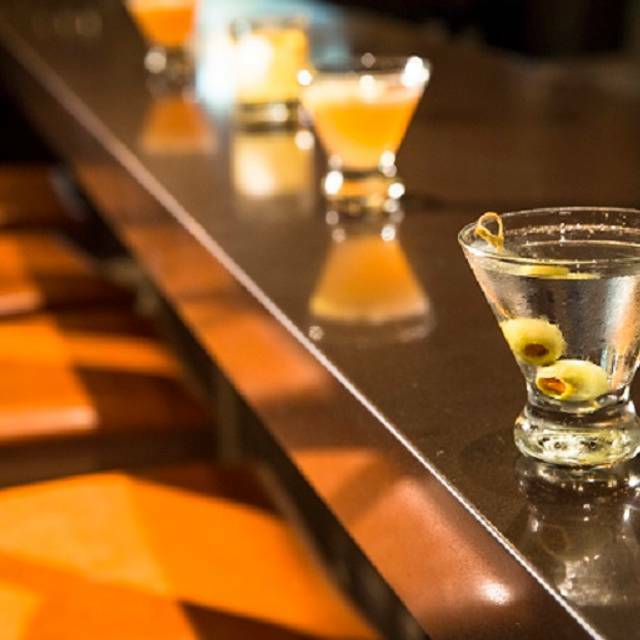 Bazille is located on the third floor of upscale North Park Center in North Dallas. The restaurant offers complementary valet parking conveniently located at our private entrance off of Park Lane. 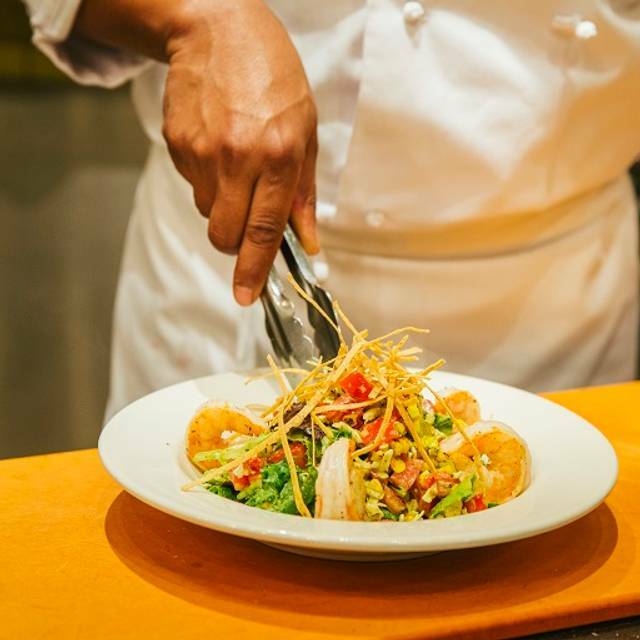 Some signature items on our menu include the Crab Stack made with jumbo lump crabmeat, mango, avocado, tomato, cucumber and toast points and our warm white chocolate bread pudding. We had wonderful service and great lunch with Prosecco after a day of wedding dress shopping. The room got too, too loud at one point, but all in all we loved Bazille! Wonderful restaurant for those of us who love going to a mall. And its great for a pre-movie meal. Lastly it is family friendly but also fine for adults only. We love having SundayBrunch at Bazille. Mixing breakfast items with lunch dishes off the menus works for us. Katy is a delightful server who makes sure you get what you want. The Crab Avocado Salad was Excellent! We always get Chicken Tacos that are a must have! Great food, inconsistent service, very noisy, even when only 25 to 50 % full! We love having Sunday Brunch at Bazille, We start with a compote of fruit, fried eggs over easy, a large order of sautéed spinach, with whole wheat toast and potatoes. To this we add a Margarita Pizza and wash it down with Mighty Leaf HotTea. The soup and salads were great but the salmon tasted a little too fishy. It just didn’t seem great quality. I expected better. Bazielle is great for lunch and long catch up get together. I always enjoy it. Very disappointed could not bring in birthday cake to celebrate friends Birthday! I was told, it is a state health code which does not allow outside food to be brought in as the reason, yet other restaurants in Dallas have always allowed us to bring in a Birthday cake! The food and service was excellent! The onion soup was not as good as usual. We LOVE the Chicken Tacos... Service is excellent! We had a wonderful Sunday Brunch at Bazille. The fact that you can order from both the breakfast menu and the lunch menu makes it easy. We have both eggs and pizza. Katie is an excellent server who always does everything right. A great way to start your shopping day at NorthPark. Great spot for dinner before catching a movie. We love having our Sunday Brunch at Bazille. We start with a compoteof fresh fruit, then Three eggs over easy, with a large helping of sautéed spinach substituting for the meat and breakfast potatoes. We add to this a Margarita Pizza with lots of hot sprinkles. It’s all washed down with pots of the marvelous Mighty Leaf English Breakfast tea. Whata way to start your Sunday Shopping - and if you are fortunate enough to get Katy as your server count yourself blessed. I had the scallop risotto and it was the most delicious thing I've ever had there. Just absolutely OUTSTANDING! This restaurant has really gone down this past year. It was a great evening out. The food was flavorful and the service was wonderful. I enjoyed the evening. I was surprised that at lunch time on a Saturday this place was packed! The energy level was wonderful, and the ambiance makes you feel like you are not in a restaurant in the mall! The service was perfect, and the food was great! Great energy, great food, great service. What more could you ask for? It was nice space there! Server was so kind. Quality of the food is surprisingly good. Dishes have a flair of creativity about them. Service can be spotty as I suspect top quality wait staff are employed at busier or trendier venues. At the end of the day, solid quality and valued are offered. Just don’t expect a dining experience or service that wows. It’s really more of a “ I want something quick and I don’t feel like cooking or getting dressed up” kind of place. Food quality that is way above average and a nicer place than your typical neighborhood eatery. If this restaurant were not attached to Nordstrom in the mall and were a stand alone restaurant in Uptown or Knox Henderson, you would get more ambience but you would also be paying higher prices. We absolutely love the Chicken Tacos. Wish there were 3 to an order! We LOVE the Chicken Tacos!!!!! Great service! They have removed my favorite luncheon item...the crab stack. I got the crab salad which is okay but not as good as the crab stack. I come here all the time because their food is very good. Usually the service is as well. Today I was seated in the bar and Beth was my waitress. She must have been having an off day because after rolling her eyes and huffing that I asked for more lemons for my tea she stormed off. This was after never saying HI, Welcome, or How are you doing… Just “what do you want to order” when she first came to the table. I got up and asked the hostess for a different table and different waitress. I was very upset but mgmt did try to make it better. Eating in the dining room was much better as was the service. Food is consistently good, but getting a little pricey even for Nordstrom. Tables are nice along the windows where you can watch all the people coming and going below. Great place to eat overall while at the Mall. We think Sunday Brunch at Bazille is delightful. Oscar took very good care of us and Katie said hello. What a good way to begin your Sunday. We love Bazille and Oscar is a great waiter! Also, get cilantro lime shrimp salad, or prosciutto pizza, crab bisque soup, or crab Mac and cheese! We love our Sunday Brunch at Bazille. Katie was a perfect server. We eat here frequently before movies and always enjoy the food. Surprisingly good value for an exceptional meal. Even the young kids enjoyed their meals, and they had kids menus. We dine here once a month or more usually for lunch as a break from shopping at the mall. Sometimes we make a trip out only to dine here it is that good! Bazille has a nice environment, very good food, a nice bar with full menu access, and reasonable prices given the area it is located in. 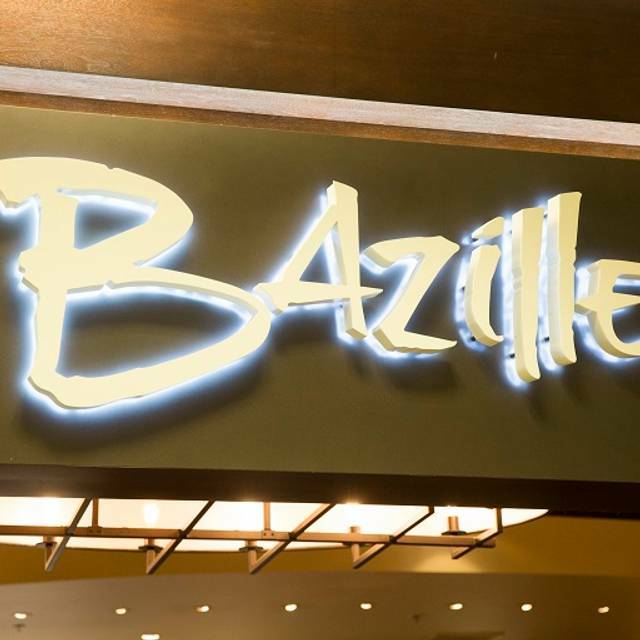 If you need a break from shopping and the food court is not your style then you should book a table at Bazille! Sunday Brunch at Bazille is always a delight. The food is delicious and the staff makes every effort to see that we are well taken care of. Our server was very solicitous and did a great job. It was a nice lunch. The noise level was very high. Food was very good. Two of us had the meatballs and another a hamburger. Service was very good and very fast. Our server was fantastic. Great food and service! I can’t wait to go again! I had the chicken sandwich and it was super delicious!!! My mother had the burger and it was very good! Will recommend to family and friends! I will recommend reservations...as we had! The hostess and waitress were friendly and accommodating!